"This is a grown-up only recipe that can be eaten plain or turned into some adult strawberry shortcakes by serving over cake and topping with whipped cream." Mix triple sec, sugar, lime juice, tequila, and lime zest in a bowl; stir to dissolve sugar. 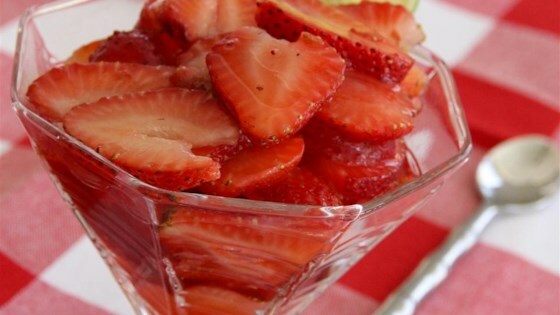 Pour over strawberries in a large bowl. Let stand, stirring occasionally, until juice forms, about 1 hour. See a tasty homemade take on a famous tequila-lime chicken dish. Do you like strawberry margaritas? Well, that's what these berries taste like. This simple recipe is awesome! !